I used to do these! But I hated them because I couldn’t pinch them into the right corners, or it was lopsided, and my broken fingernails hated me. 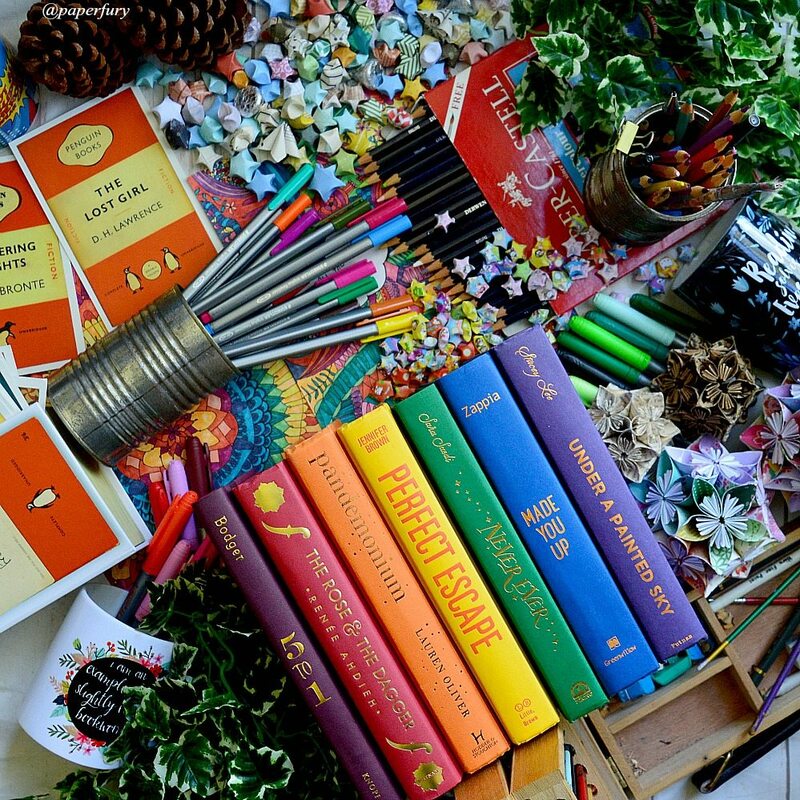 BUT THAT PENCIL. I think you just saved me a lot of woes. I’M HERE TO BE WONDERFUL AND HELPFUL. *flips hair majestically* 😂 I actually didn’t even KNOW about the pinching the corners until recently….I think the pencil generally makes them much smoother, which is great. Craft is definitely the BEST. And it’s always helpful for props in photos too!! I don’t make cupcakes enough really to do a post. *sobs* But I should do another cooking one eventually because FOOD is clearly my aesthetic. YOU’RE WELCOME FOR THE GIFT THAT IS ME. And yes, omg, you’ll have to make tons but it’s WORTH IT. Aesthetic needs must be met. So now I am folding them during work when I’m waiting for a callback and getting bored. I’ve yet to find a store that sells the strips pre-cut though because I never get them completely streight. P.S. 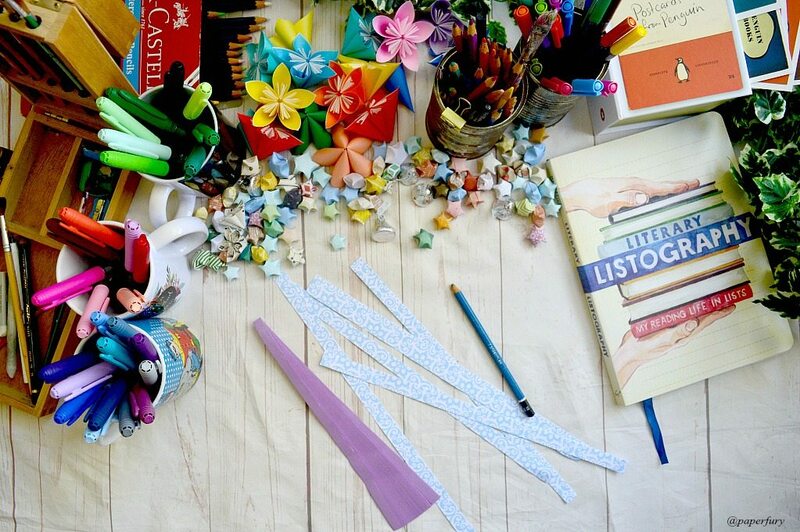 maybe do a tutorial on how to make those big origami flowers (which you made with book pages I believe) I saw in some photo of yours (can’t remember which)? I can totally do that! They’re technically not origami because they use glue, but it’s still paper folding, right?! Right! I look forward to it! 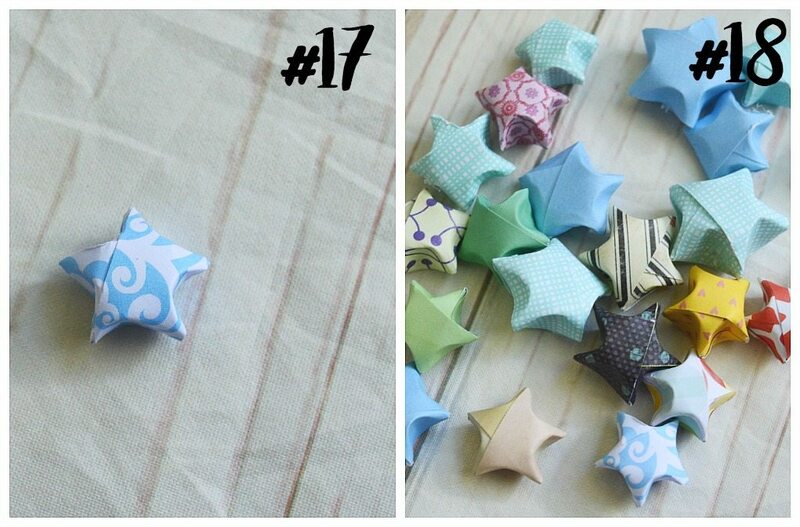 Now I can make one myself.. but I buy the origami star paper on gift shop in my town. They sell it. Oh that’s so awesome you actually have a local store that sells the paper! LUCKY YOU. 😀 And eeep, I’m kind of honoured I inspired you to make some. YAYY CAKE FOR US BOTH! Hi. 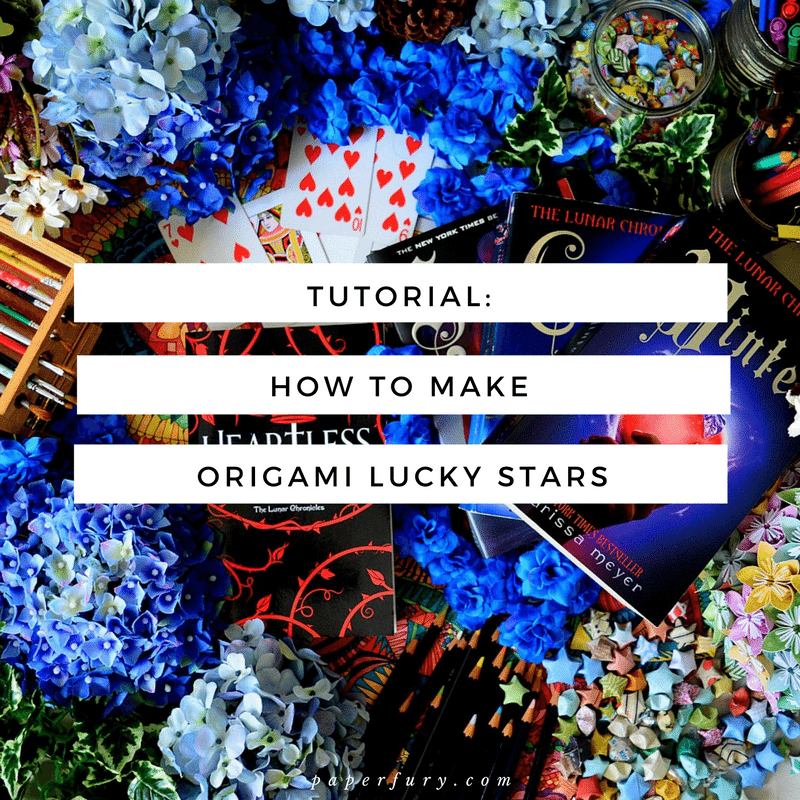 I actually started on origami because of an old blog post of yours on lucky stars and yes, they definitely need to be renamed please. I love book covers and I’ve been having a blast making origami stuff 🙂 I always wanted to make an origami crane (from my days of binging on the Prison Break series) but I never could get the hang of it. (That was eons ago). Now, I recently watched a korean drama called Healer (OMG, Awesome) and in one scene, the heroine absently made lucky stars and I wanted to try origami again. So I started searching on how to do it and found your old post. Thanks for the post. I had a blast making the stars. And yes, a success of 3 out of every 5 I make. It’s super annoying when those 2 odd ones don’t make it. Omg that makes me so happy! I’m so glad you liked my old tutorials too! 🙂 And yesss, the cranes are awesome and I LOVED that part of Prison Break (like the rest of the time I was stressing so much I had to get up and pace😂) because I’ve always made tons and tons of cranes. Omg, those stars are unbelievably simple, but so pretty!! I’ll have to keep this idea in mind for some party or something. Bet it would look great on a table. Or maybe filling up a half empty present box? It totally would! I see photos of jars filled with them and like layered in different rainbow colours?! It looks so so cool. Omg layered. Go make that photo xD NAO! OMG you made so many! Hehe they’re so cute! I did employ my sister to help make some at one point.😂 BUT YES! The more the merrier, right?! SO MANY LOTR REFERENCES! ME LOVE IT!! I LOVED this tutorial. Perfectly clear and I actually feel like I could make those stars if I chose to. Yay! Thanks girl! Omg I know right?! and like it makes NO SENSE how sometimes they work and sometimes they don’t. 😂 BUT THEY LOOK NICE AT THE END IF YOU CAN WRANGLE IT! This was the shiz back when I was in grade school! I’ve forgotten how to make them! They’re so fun, right?!? I made 1,000 paper cranes when I was 12.😂 GOOD TIMES WITH ORIGAMI. Origami and me just don’t go together? Also Cait, when are you doing your November Fury recap?? I LOVE THOSE. (And now it is the 9th of December, so I am just giving you a friendly reminder ahem) Also I have tried making these stupid stars SO MANY times, but the corner thing is the actual worst. Maybe I could do with the pencil trick?? JUST PRAY FOR ME. OKAY SO THIS KIND OF JUST MADE MY DAY THAT YOU WANTED THE RECAP!!! *flails happily* Okay so truth is…I’m not doing a November one. *hides under a hedge* I KNOW, AREN’T I LAZY?!?! 😭 I am doing a yearly recap at the end of December but gah, it’ll probably be end of January before I go back to the same-old recaps that I usually do. BUT LIKE IT SERIOUSLY MADE MY LIFE THAT YOU MISSED IT. <3 THANK YOU. And yesss, the corners of these stars are little hellions. This is why I have like a 50% success rate, if even that at times.😂 I PRAY FOR YOU. GOOD LUCK WITH THE PENCIL TRICK. This is really cool but I have exactly zero patience for this kind of stuff. AHAHAHA. So I’ll leave the artsing to you and I’ll just sit here and admire you instead. *flips hair* FAIR ENOUGH.😂 Hehe. But honestly I have the patience of a deluded melon and yet I still manage to have a tolerable success rate, hehe. My 7 years old son recently became a huge fan of origami. I’ll definitely try with him this stars. They add to your photos this interesting color touch, and I’ve been wondering how you make them. It looks very doable. Thanks for sharing! I love this! I need something to keep my hands busy while my brain tries to relax, and this seems like a lot more fun than biting my nails. I’m off to buy origami paper! HELLO, CAIT-KNOCKOFF. So I didn’t. Having said that, will I fall pray to this MAGNANIMOUS, GENEROUS TUTORIAL OF JOY? Of course I shall. Because origami isn’t origami in Lexieworld unless I’ve tried and failed at it. <3 I'M COMING, SAURON STAAAAAAAAARS! YES LET’S HAVE THEM OFFICIALLY CHANGED TO SAURON STARS. That will be much more accurate. And they are such little beasts. I mean, they work sometimes and not others and WHYYYYYYY. It’s wizardry that’s all I can say. And omg I’ve forgotten about BP.😱😱😳😳😳 Lemme check with my co-host. I’M SO SORRY. Oh, these are so cute! You are a talented bean, my dear! 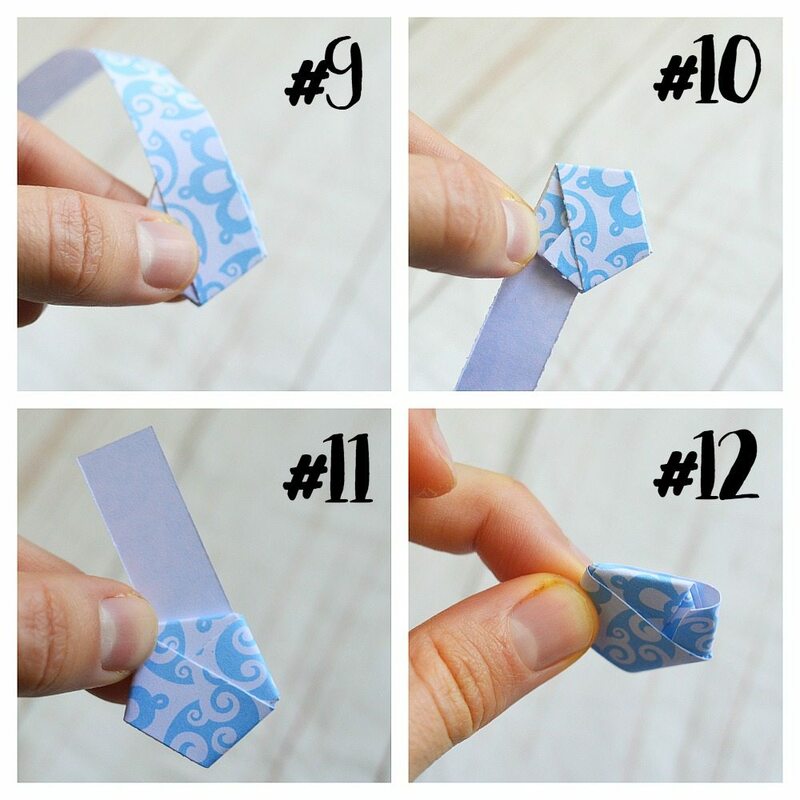 As I mentioned awhile ago, I am trying to get into origami, so , even I don’t have Instagram (on account of having no camera) I will try this (I want to call it a recipe for some reason??? Evidence that I cook too much) immediately! No I’m not double jointed anywhere except… My right shoulder. Peculiar, I know. And those awesome origami flower things? TEACH US HOW PLEASE! THANK YOU, KATE MARIE. *twirls majestically* And yes let’s call it a recipe because that’s fun and delicious. And I mean, is it even a tutorial or is it a commentary on Lord of the Rings? WHO CAN KNOW. And yes I can do one on the origami flowers! 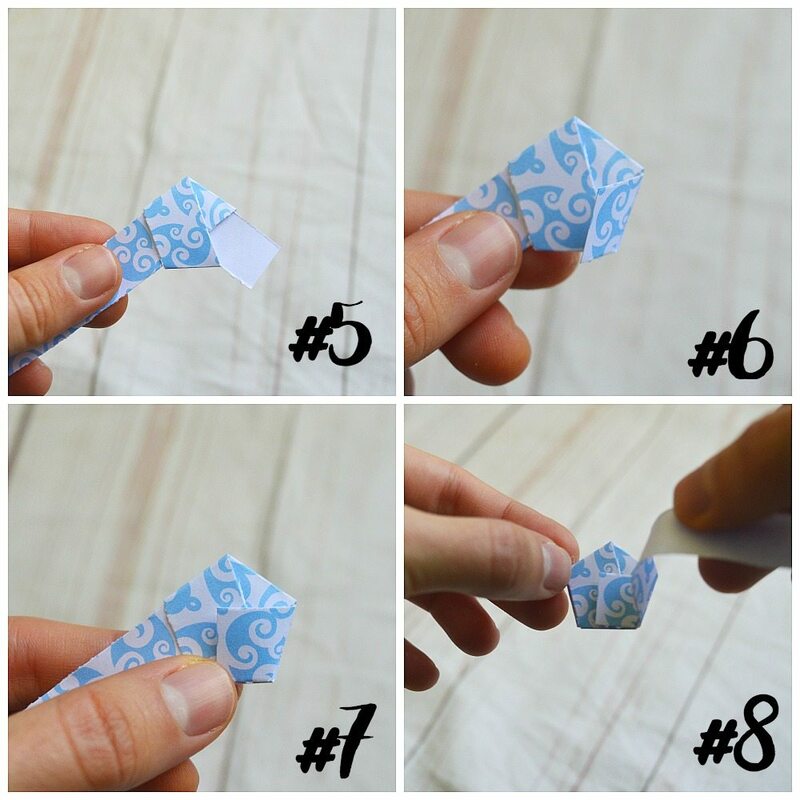 They’re not technically origami because they use glue BUT THEY’RE STILL GREAT SO I WILL. I saw that you linked to how to make them in a post you did a while back, and since then, I have made many. To be fair, as you stated, 2 out of 5 are a disappointment and rebel against my wishes. Thus ending in sorrow and immediately getting thrown onto the fire. And I’ve made HUNDREDS and I still like murder most of them.😭😭😂 Honestly I think there is wizardry involved in these little Sauron stars and sometimes you have it and sometimes you don’t. 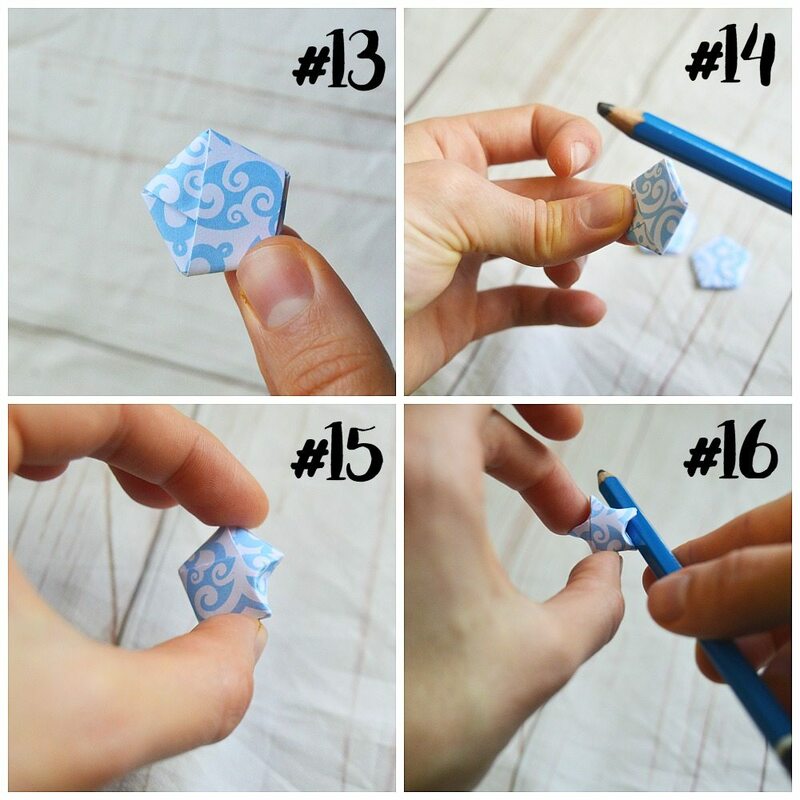 I’ve been wanting to get into origami for the longest time, and this looks like the perfect place to start… I have been admiring these little stars of yours for a good while now!! Also, as always, love the way in which you narrate things on your blog. Thanks for sharing! Aww, thank you!😂 I mean, is this a tutorial on origami stars or a commentary on Lord of the Rings? WHO CAN KNOW. hehe.😂 But I’m glad this is helpful!! GOOD LUCK MAKING THEM! I’ve tried to make these before! Sometimes they turn out right and then other times I just get a mess. The weird thing is I can’t even figure out what I’m doing wrong when I mess them up – it just happens sometimes, so I just start over. I used to know how to make an origami penguin, but then I forgot. I’m sure I could find it again online somewhere, though! SAME. And I mean, I’ve folded literally hundreds but I have exactly no clue why sometimes they come out nicely and sometimes they don’t.😭 And there’s really no salvaging them, right? I just chuck them when they crumble. I’m sooooo excited. I used to be a big scrapbooker and I have hundreds, if not thousands, of lovely pieces of paper just sitting in the closet. Thank you! Oh, and I also just PM’d you on Etsy because I’m not going to even pretend that I’ll attempt those gorgeous creations! OH THANKS ANN MARIE! I sent you a message back about paper colours, so let me know what you think! So cute! I use to make these all the time but than I got lazy and I kind of forgot the steps haha. Thanks for the reminder/tutorial! I haven’t made one of these stars in years, but I saw someone the other day who was making a ton of them to fill up one of those transparent lamp bases, and now I kind of want to make some again (but not enough to fill up a lamp base… yikes!). I had an origami book when I was a kid, but I found it really frustrating. In Grade 6, we had to make a bunch of paper cranes. That’s probably the only origami I ever really mastered (but I don’t remember how to do it now). Well it works for me!😂 It just depends if my instructions make sense to anyone except me BECAUSE IT GETS A BIT WILD IN HERE hah. Ahem. And I shall admit I don’t know what a dot-matrix printer is, but then that could be a country difference too? I make origami kusudama flower mobiles and like there’s always a thin strip left over from a 12×12 scrapbooking page — which is perfect for stars too.😂 And means I only make like 7 at a time and don’t LOSE MY MIND. Because these little devils get harder the more you make, I feel. JUST THANK YOU SO MUUUUUCH FOR THIS POST!!!! YOU’RE GOLD. <3 THANK YOU THANK YOU. I adore your tutorials and I can't think of any specific ones but I love when you do them, regardless! LOTR REFERENCES MAKE ANY POST BETTER. I did it! I made a little star of light! It was hard to bend the corners into a star though, but that’s probably because I used thick card paper. But I did it, and now you know my star is a success and I will cherish it forever. And omg I long to make one of those jars where it’s all layered colours. Because pretty. Ooh origami! 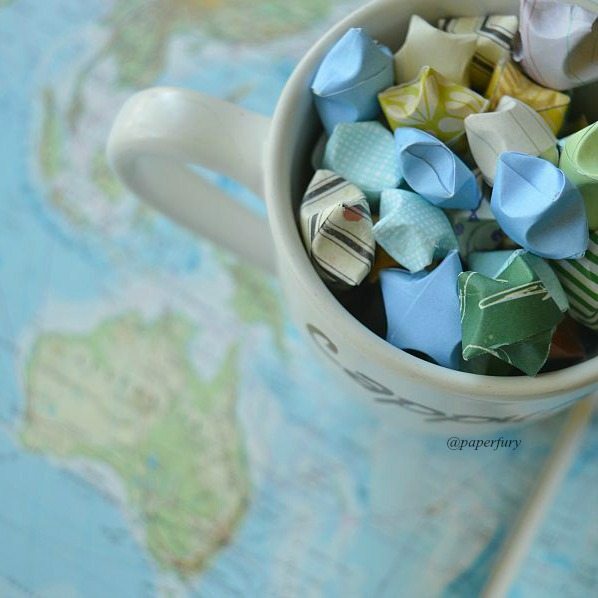 I used to do a lot of origami, ridiculous complex things, but never lucky stars. My books only ever had things made from squares. Why??? This tutorial stresses me out just THINKING about making these. I used to be able to make origami boxes (back in…year 5 when our teacher taught us) but I think these stars require FINESSE which I do not actually possess. BUT I’LL HAVE A GO. OMGAWD! I hope she crowned you The World’s Best Sister! Oh my word! This is by far the best tutorial in the world, haha! I love it! This looks like so much fun!!! Must…try…. And… Um…Cait?? How…how many of those stars do you have????????? Oooh, a ninja star sounds exciting! I can do kusudama flowers, but they’ve got glue so they’re technically not origami. #shame OH. And a 7-pointed origami star!! They’re super fun! I also have double jointed thumbs! 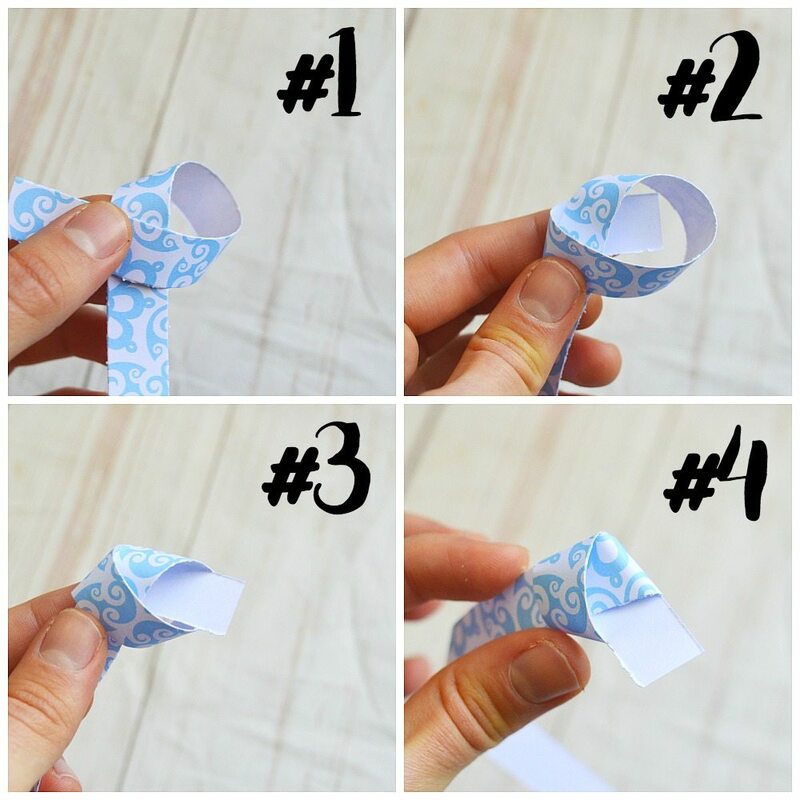 Thanks for the tutorial, but I find I am better suited to paper airplanes than origami. Origami = major disaster. you should do those lucky triangles. I am sure you know about those tiny 3d pyramids destined to make your fingers hurt while folding. Omg, I’m doing this. Who knew it was so simple?! (Hah! I say that before I’ve tried. Just you wait until you get frustrated tweets from me as I cry surrounded by mutant paper stars). You’ve given so many helpful tips in posts lately! CAIT YOU’RE A STAR! (see what I did there? Hahaha? Yes, okay, I’ll stop). Oh oh I see what you did there. YOU’RE SO CLEVER. FINALLY SOME TUTORIALS ABOUT THIS STARS *throws a party* All of my friends used to made this in elementary school, and I just keep ripping my paper #notokay. Now I can just call them out of the blue and brag that I can make these stars now. Oh absolutely what a FANTASTIC idea. I mean, it doesn’t matter how many years later it is…YOU HAVE FINALLY CONQUERED. Oh my word Cait this entire post was HILARIOUS XD and now I might need to make some of these leetle baby stars. RIGHT AFTER I FINISH ALL THE OTHER 456789 THINGS I WANT TO DO. 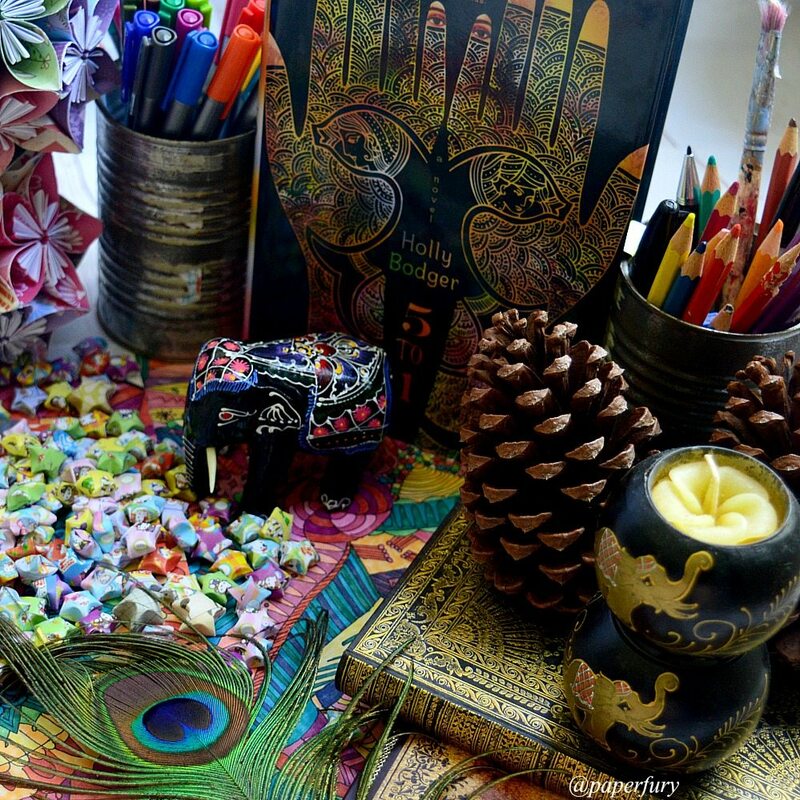 I am literally amazed by how much origami you have. HOW MANY STARS DO YOU OWN LIKE DO YOU RANDOMLY JUST FIND THEM EVERYWHERE YOU GO??? Because I’m pretty sure that if I had that many tiny stars they would literally show up in every crevice of my life. Yet I’m now super tempted to go and make ten million. Oooh, this looks so much fun! 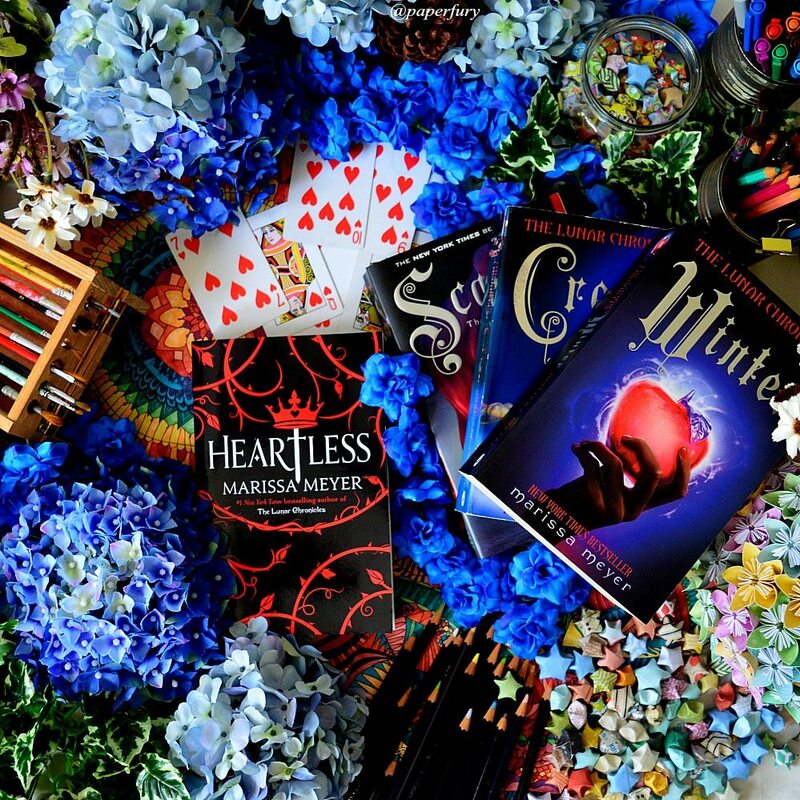 So many bookstagram opportunities! Oh dear! I think it’s supposed to be 1/2 inch! I messed up. 😂 Thanks for pointing it out.